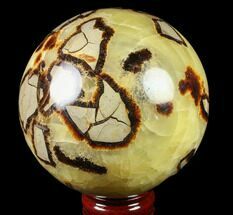 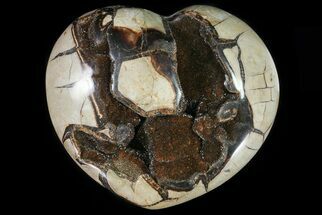 Septarian or septarian nodules are concretions (mud balls) containing cracks and cavities that were filled in with minerals such as calcite (yellow) and aragonite (brown) and sometime pyrite causing the very unique patterns. 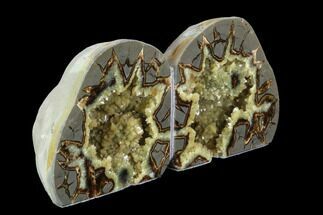 These septarian nodules make for very interesting display pieces when cut and polished. 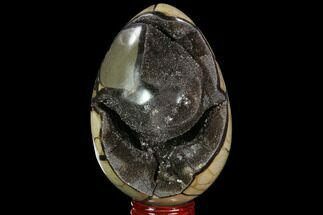 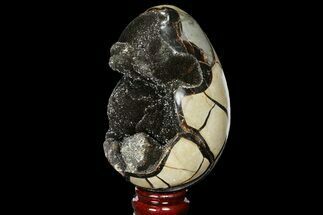 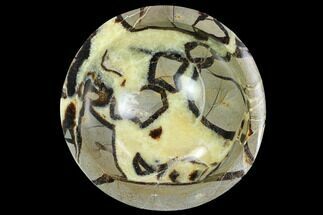 Septarian often gets referred to as "Dragon Stone" because the natural patterns make people think of dragon skin. 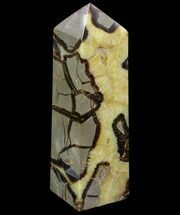 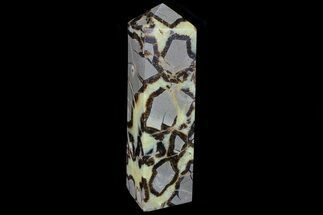 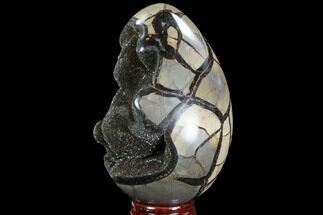 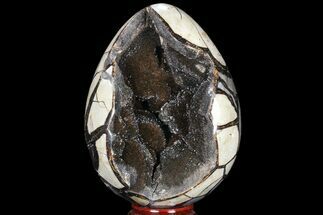 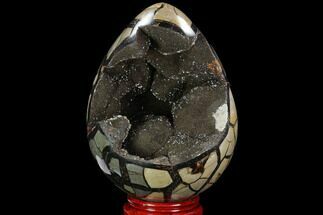 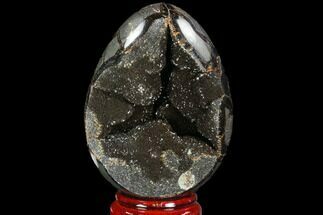 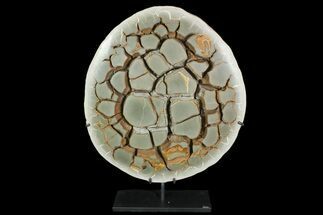 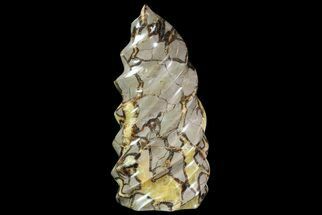 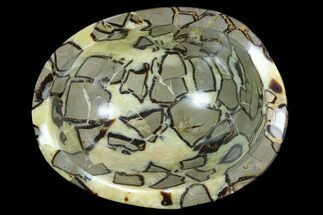 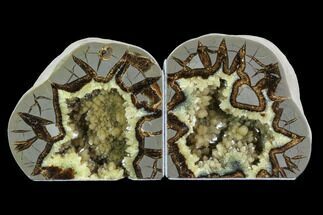 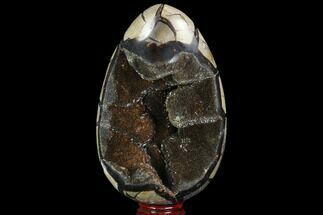 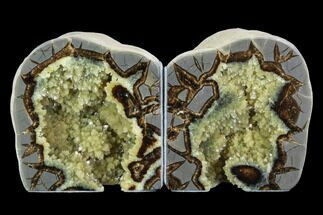 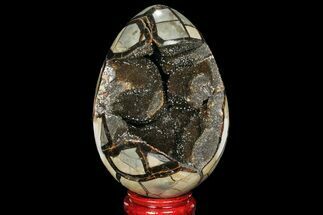 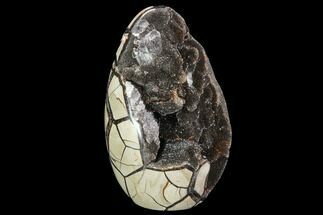 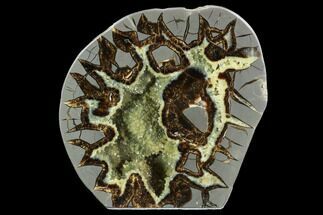 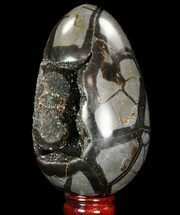 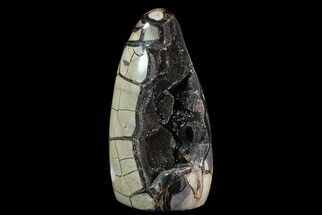 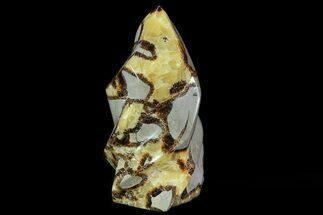 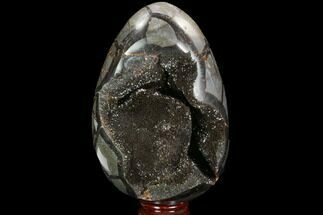 We have a wide variety of polished septarian nodules, septarian geodes, septarian spheres, septarian eggs and septarian bookends for sale. 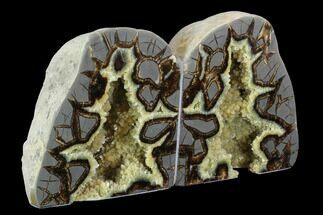 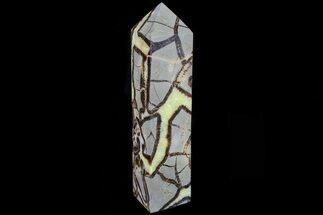 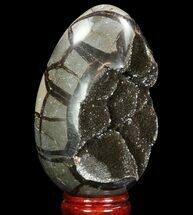 Septarians are unique among geodes, because most geodes are formed in volcanic rock while septarian nodules are formed in sedimentary rock (marine deposits). 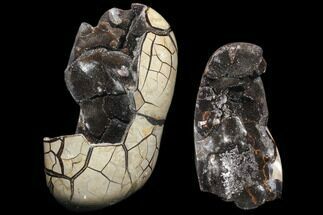 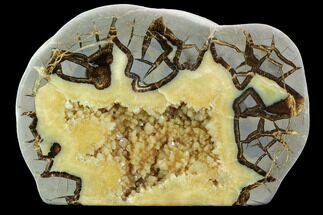 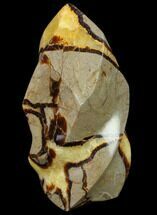 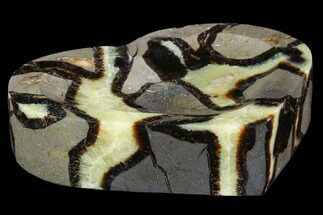 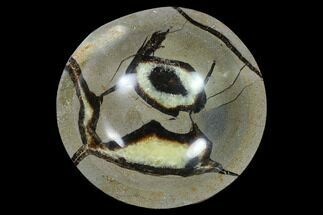 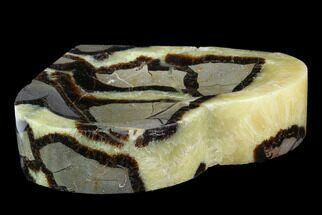 Fossils are occasionally also found preserved within septarian nodules. 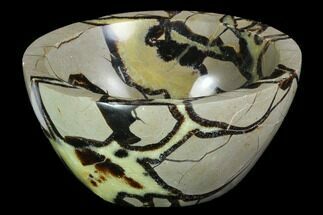 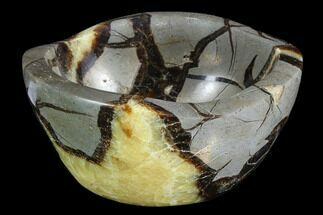 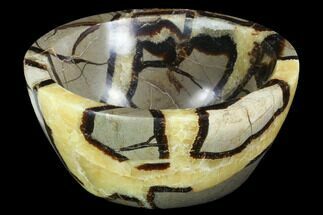 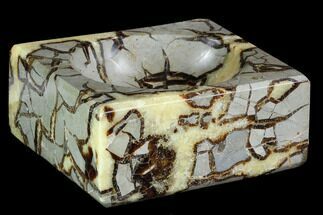 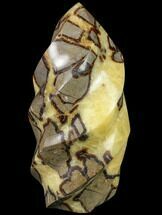 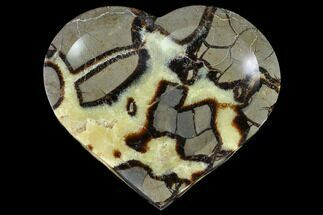 Most septarian is mined in either Utah or Madagascar and comes from deposits that are Jurassic in age, or approximately 150 million years old. 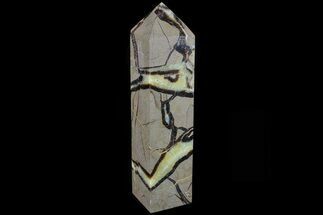 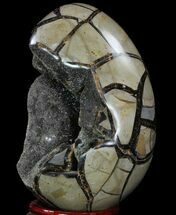 The source of the calcite and aragonite filling in the cracks and causing the patterns is the shells of dead marine organisms. 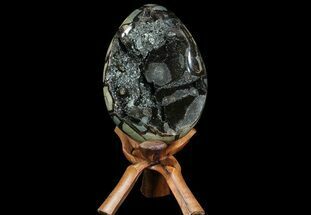 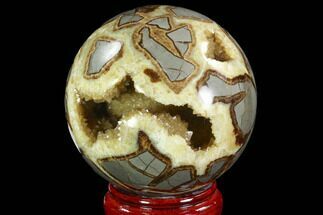 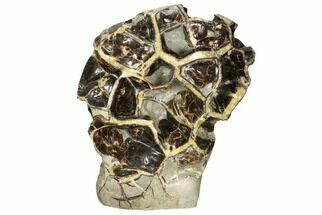 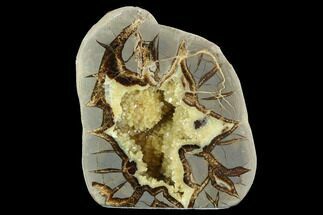 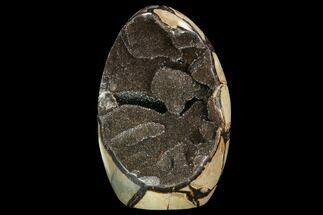 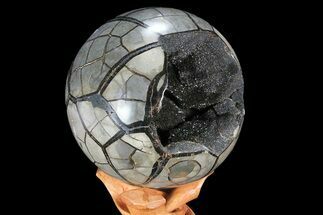 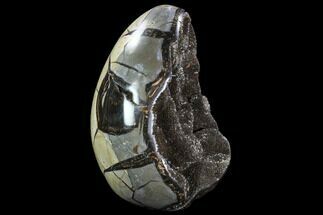 The name septarian comes from the latin word “septum” which means a wall dividing a cavity into smaller ones. 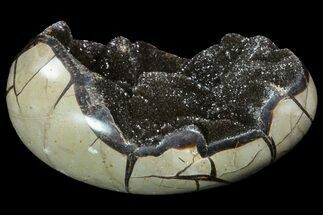 While there is a lot of speculation, no one knows what causes the cracks in the concretions to form. 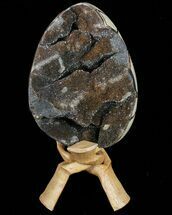 The most common explanations is that the concretion were exposed to air when sea levels dropped, causing them to dry out and shrink. 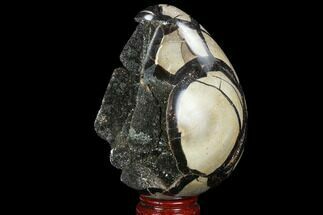 Expanding gases and earthquakes have also been proposed. 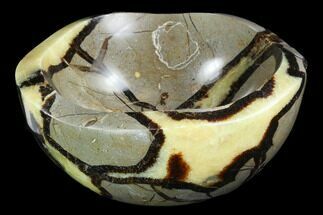 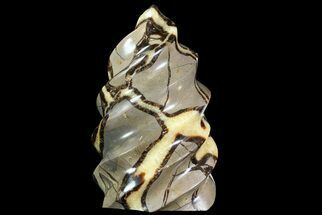 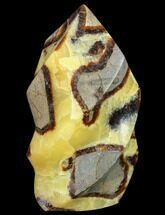 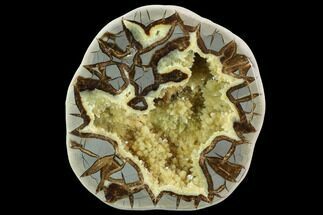 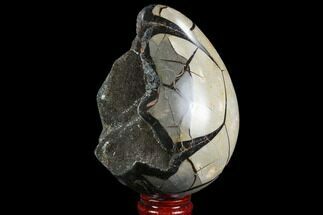 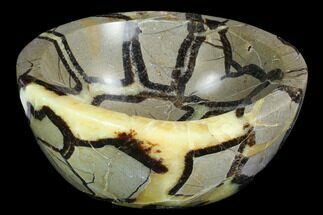 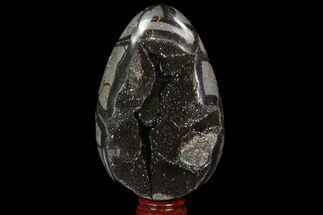 Septarian is frequently referred to as dragonstone because of the patterns produced.